The birthday of Lord Krishna is renowned as Janmashtami and is celebrated with all the zeal and enthusiasm approximately eight days subsequent to the full moon of Shravan. Krishna Janmashtami has eternally been a momentous festival in the Hindu calendar from long times. The occurrence is distinguished and illustrious and celebrated with immense fondness and devotion in all the parts of India. Vrindhavan, Mathura and Dwaraka are a small number of the leading places where the festival is commemorated with even elevated passion, energy and heartiness. These are the destinations where the Lord Krishna spent his entire life. sity to be full of magnificence and brilliance in all these places, despite the fact that the rest of India also exihibits the radiance and charisma of a imposing event on the Janamashtami days. 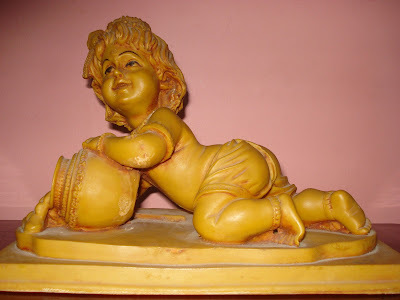 You view the picture of the baby Bala Krishna hanging all over the places. The followers and supporters sing devotional hymns and take pleasure in dancing while rejoice the birth ceremony of the lord Krishna. The ceremonies connected with the festival makes the Krishna’s followers to hang around and pray till 12 at night to celebrate the event. Some North Indian areas celebrate the Krishna Jayanthi for three consective days whereas the first two days go by in a vibrant manner. A well-liked ceremony, ‘Dahi Handi’ takes place that provides the youth to smash the pot overflowing with butter or milk. The similar kind of occasion is celebrated with enthusiasm and keenness in Mumbai and many other cities of Maharashtra. The Braja Mandala, in particular Gokula and Mathura, attract a large number of Krishna devotees for their strong religious dedication and eagerness on the Krishna Janamasti days. Tourists hear the deafening and earsplitting chanting mantras floating in the air, making the environment truthfully religious and celebratory at the same time. Mathura and Vrindavan catch the attention of lakhs of Hindu supporters on this day and let them take pleasure in the day in the middle of celebrations and blissful atmosphere. The ambiance turns out to be moderately religious with people performing all sorts of dancing, singing and sharing emotions towards the lord Krishna. A small number of people even keep fast on this day to have the preferred and excellent sons like the lord Krishna. Recitals of the Bhagvatam and Geet Govindam are taken up by the majority of the followers of the lord Krishna. NYVEDHAMS: Lord krishna loves atukulu and venna a lot ..